It's also a strategic engine builder using a player board (your space base) and tableaus of ship cards you can buy and add to your board. The cards you buy and the order you buy them in have interesting implications on your engine beyond just the ability on the card you buy, making for a different type of engine construction than seen in similar games. 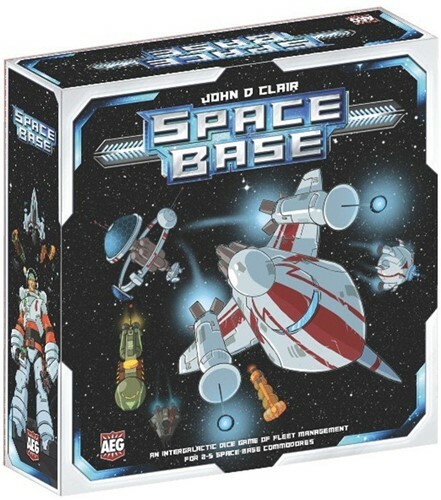 Players can take their engine in a number of directions: long odds and explosive gains, low luck and steady income, big end-game combos to launch from last to first, or a mix-and-match approach. 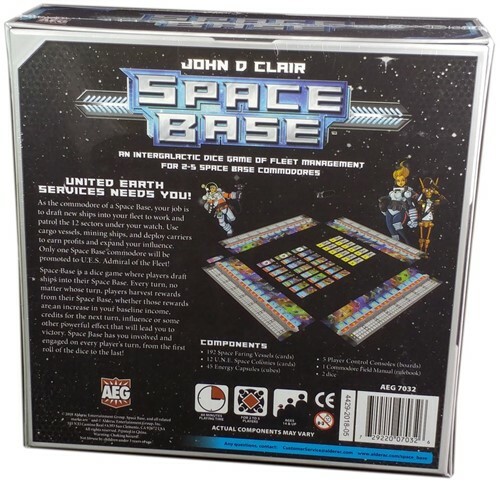 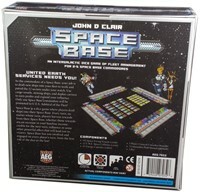 Ultimately, Space Base is a game you can just start playing and teach everyone how to play in the first round or two and has a satisfying blend of dice-chucking luck and challenging strategic choices.